Are You Planning An African Safari To Selous In Tanzania? Scroll Down.. If you are looking for an accommodation that gives you privacy away from the crowds without sacrificing your budget or experience, Sable Mountain Lodge is the perfect place to place to stay during your tour of Tanzania. Started in 1999, the lodge is recognized for providing fantastic service, phenomenal views and quiet, comfortable rooms. With your choice of cottages, tented rooms, honeymoon suites and a small villa, Sable Mountain Lodge can fit the value accommodation needs of single AfricanMecca travelers, newlyweds, families and small groups. 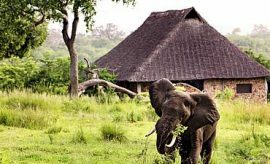 Located in the northwestern corner of Selous Game Reserve in Southern Tanzania, the lodge is situated on land that is owned by the local Kisaki Village that is approximately six miles from the lodge. 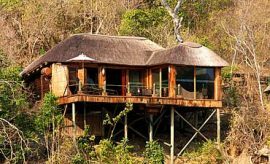 The lodge is built at elevation, surrounded by hills and breathtaking views of the bush, mountains and the game reserve. The knowledgeable staff are always available to answer your questions and enlighten you about the environment, native peoples, flora and much more. Sable Mountain Lodge gives you a unique African holiday experience that is free of crowds and rich in wildlife and unique landscape. 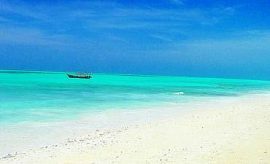 The quality of your Tanzania vacation visit is greatly affected by the time of year that you travel. The peak drier seasons are July through October and holiday terms of Christmas/New Years. The main rainy seasons are April and May, and some activities may not be available and challenging to operate fully due to the weather and road conditions. One of the best times to visit Sable Mountain Lodge is January through March when the grasses are lush and green, and February brings the birthing and renewal of life season to the reserve. Enjoy a welcoming and relaxing setting during your safari in Tanzania at the Sable Mountain Lodge. The lodge features 8 stone cottages, 5 tented canvas rooms and a two-story villa. The cottages at the lodge are situated halfway up a small hill, where you may enjoy views of the surrounding hills set against a backdrop of Uluguru Mountain in the distance. 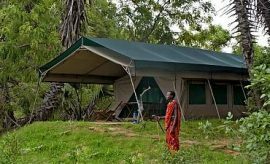 The tented rooms have a raised decked verandah in the front so that you can gaze across the wilderness and feel as if you are part of the natural environment. The villa is set away from the other accommodations, giving families and small groups the utmost privacy and spectacular views of the African landscape. 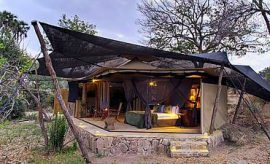 If you are a newlywed who is planning your honeymoon travel in Africa on a budget, choose one of the two honeymoon suites for an intimate setting away from the main lodge grounds. These suites are situated at the top of the Beho Beho Hills, giving AfricanMecca guests unparalleled views of the African landscape. 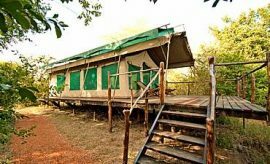 All of the accommodations are large and clean with many homely conveniences, such as in-room full bathrooms, private viewing decks, mosquito netting, room lighting and much more. Common areas at Sable Mountain Lodge include two restaurants, two bars, a mini library and a swimming pool with sun deck. For your convenience, solar-powered electricity is available in your room, as well as at charging stations at specified locations on the central grounds (read more on where else to stay in Selous Tanzania). 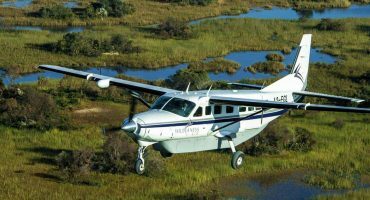 With an easy flight access to Selous Game Reserve from Dar es Salaam, Sable Mountain Lodge offers an array of game viewing activities for your tour to Selous. 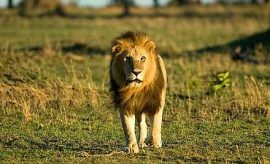 For your game drives, choose from a full-day drive that lasts seven to eight hours, or a three to four-hour half-day game drive. 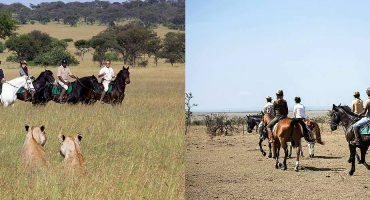 Game drives begin in the early morning, and you may choose to take a packed breakfast or lunch with you. 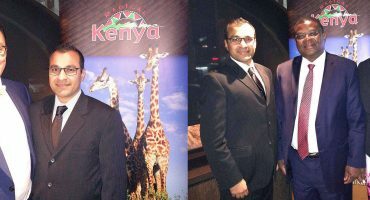 You travel with a knowledgeable guide in the comfort of an open 4x4 safari vehicle. 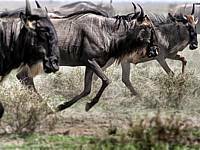 Because Selous is a game reserve and not a national park, when conditions are favorable, your guide is able to take you in any direction to give you some of the best game viewing in Tanzania on your AfricanMecca vacation. Your guide travels in relation to the destination and wildlife experiences and describes animal behavior, habitats, species and much more Current information about wildlife sightings enhance your guide's already vast knowledge of the reserve. The on-board radio allows your guide to relay and receive this level of comprehensive trailing information with his trusted colleagues so that your game viewing experience exceeds your expectations.During your African safari in the game reserve, you have the once-in-a-lifetime opportunity to see the wildlife thriving in a natural setting. Grazing herbivores include impala, reedbuck, elephant, giraffe, buffalo, wildebeest and many others. Stealthy carnivores are also abundant in the reserve, such as lion, cheetah, hyena and many others. 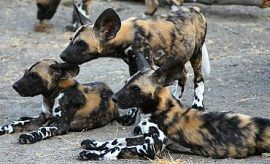 Selous Game Reserve is also home to hundreds of bird species, and also one of the few locations where you may see African wild dogs. These rare animals, known as "painted wolves in its latin name - Lycaon pictus," are recognized by their long legs, incredible jaws and large, rounded erect ears and typically travel in packs of 6 to 20 individual animals. 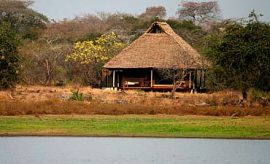 At Sable Mountain Lodge, you may also choose other African tour activities such as boat safaris on Lake Tagalala with its resident hippos and crocodiles; another thrilling activity at Sable is a Tanzania game walk safari – this is where you discover and encounter the smaller fauna and flora via your primary senses of touch, smell and sounds supplemented with larger game passing by. You also have the option of cultural visits to local villages, participation in projects to support local communities and much more. 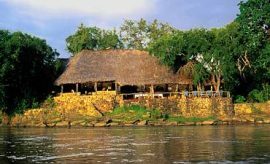 Your trip in Selous with AfricanMecca is sure to build your appetite, and Sable Mountain Lodge offers great food that is made with fresh, locally-sourced ingredients. Your meals are served in one of the two restaurants, or you may choose to dine under the African skies on the sun deck or in the bush. A delightful breakfast starts your day and gives you the energy that you need for a morning of awe-inspiring safari activities. Your morning meals choices include "full English" and European options, such as toast served with jam and marmalade, croissants, cereal, fresh fruit, assorted cheeses, eggs, waffles, pancakes, fresh pot breads and much more. Later in the day when your Sable Mountain Lodge safari experiences have depleted your energy, enjoy a lunch and dinner featuring a variety of meat, poultry, fish, vegetarian dishes, soups, salads, desserts and much more. The lodge offers a variety of beverage choices for your meals, such as Tanzanian coffee, tea, wine, beer, spirits, fruit and herbal infusions, fresh juices and much more. As the sun sets upon the wilds of Africa, enjoy a delightful cocktail on the deck or in the bush. 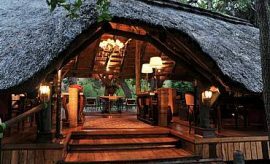 You may also arrange for bush meals during your game drive, boat safari or adventurous walking safari. These meals are packed prior to your activities and give you the rare opportunity to eat amongst the wildlife. 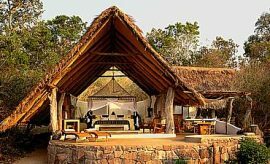 When staying at Sable Mountain Lodge in Selous, we recommend combining it with offbeat parks in Southern and Western Tanzania such as Ruaha or Katavi ending with a chimpanzee trekking safari at Gombe or Mahale.